Late one night as the city stayed awake, an anfora united amore and jaan. For two years, her blend of strength and sweetness compelled him and his words to follow her, until the day he promised her forever in the place it all began. 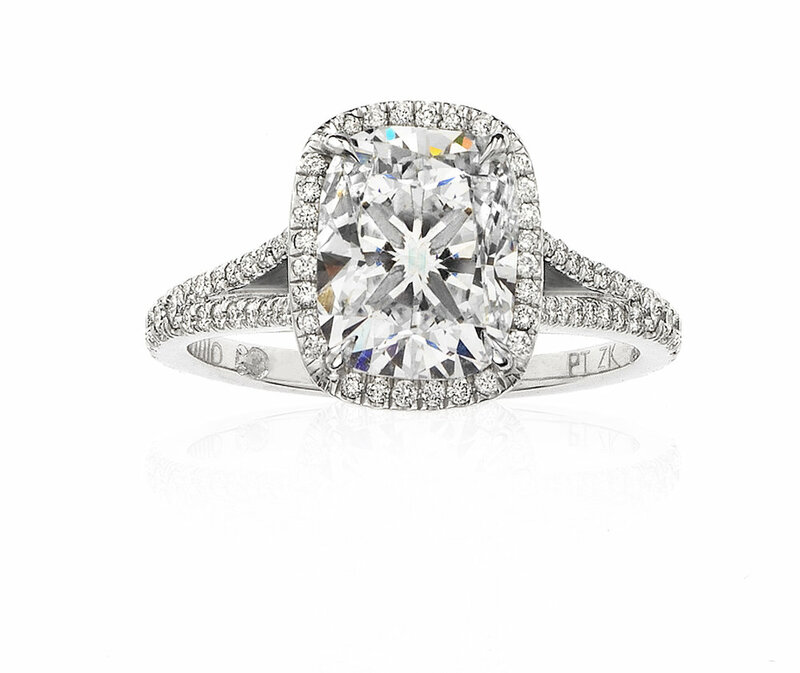 The Anfora ring features an elongated cushion cut diamond and small round brilliant cut diamonds set in platinum.